Yinyan is another Honda Wave 125 rider from Laguna Moto Club and is my frequent riding buddy. 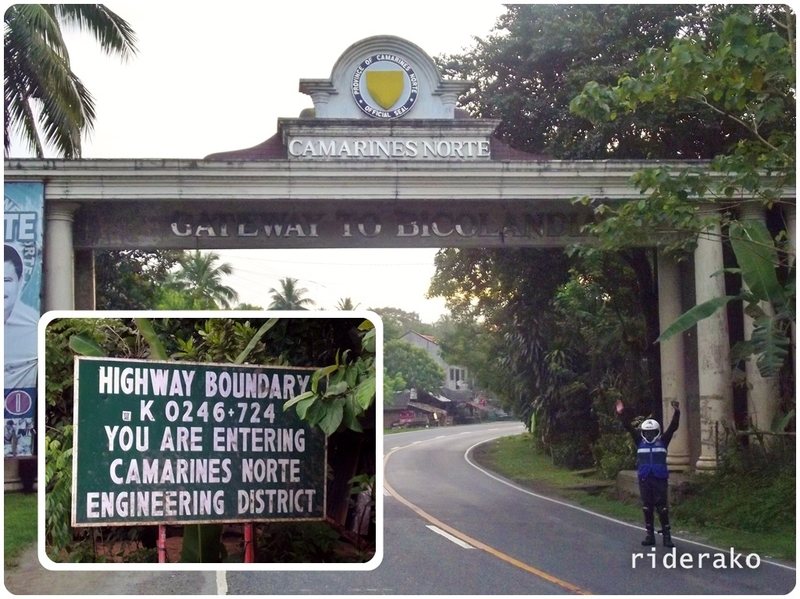 The longest ride we did was with 2 other riders to Daet, Camarines Sur in Bicol. He didn’t see much of Bicol so he wanted to join me when I scheduled a trip to my home province just before Summer 2013 ends. Oh, yeah! I have passengers.. All six of them! SQUAAWWWK!!! 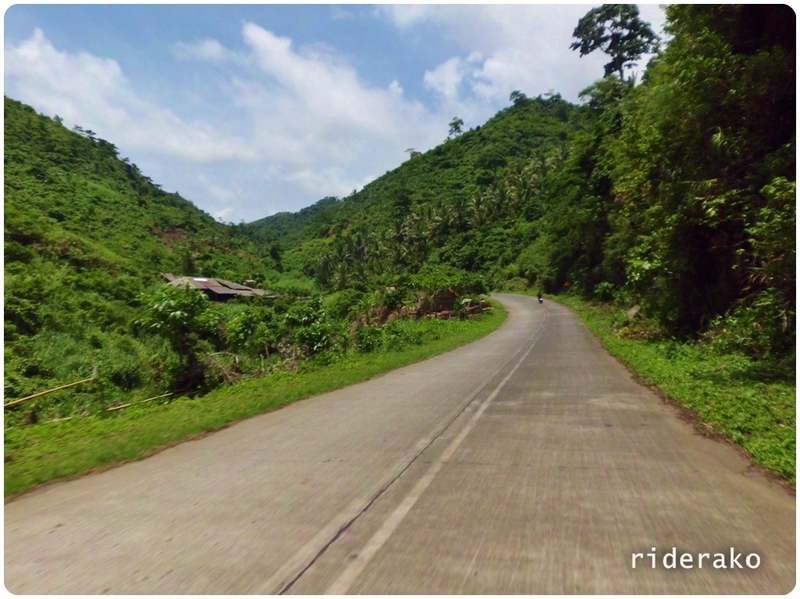 I have done the long ride down south to Bicol a couple of times so I am very familiar with the route. I never get bored even when doing it solo. Having a companion is something new to me and I have a planned route that would make it more interesting. We took off from Laguna at 1AM. Leaving CALABARZON while it’s still dark. By 0530 AM, the sun was up just as we are about to enter Quirino Highway. This 80+ kms highway is notoriously known for its deep potholes, unfinished road rehabilitation, and lack of major services along the way. The roads in Tagkawayan are especially brutal. 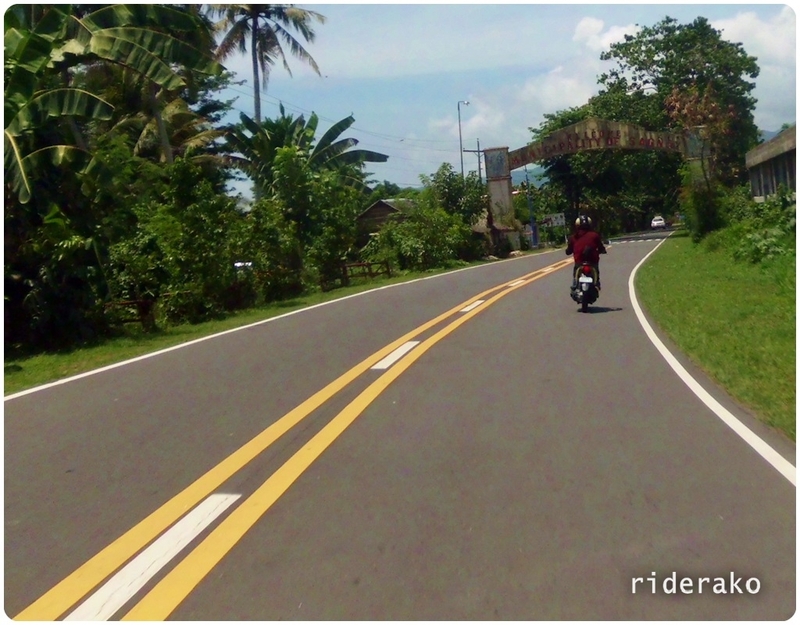 I wanted Yinyan to try this road since we’ve already used the Daet roads on his first visit. 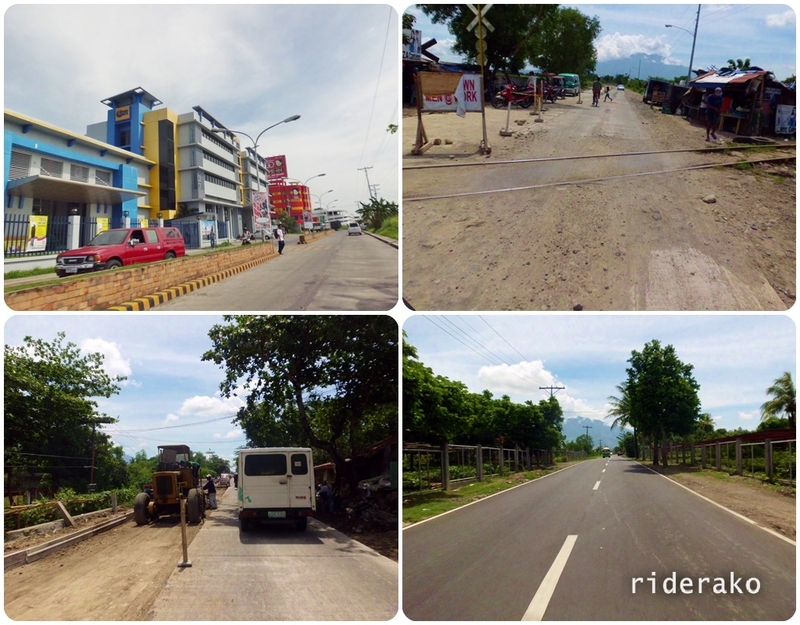 Surprisingly, Quirino Highway has improved a lot. 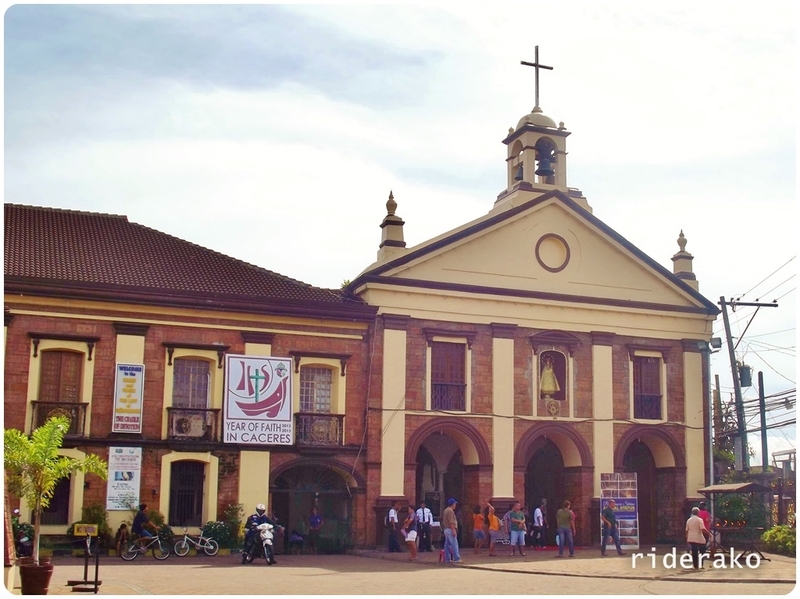 After a quick stop in Sipocot, we arrived in Naga City. I haven’t toured the streets of Naga City on a motorcycle yet so showing Yinyan around is a good excuse. 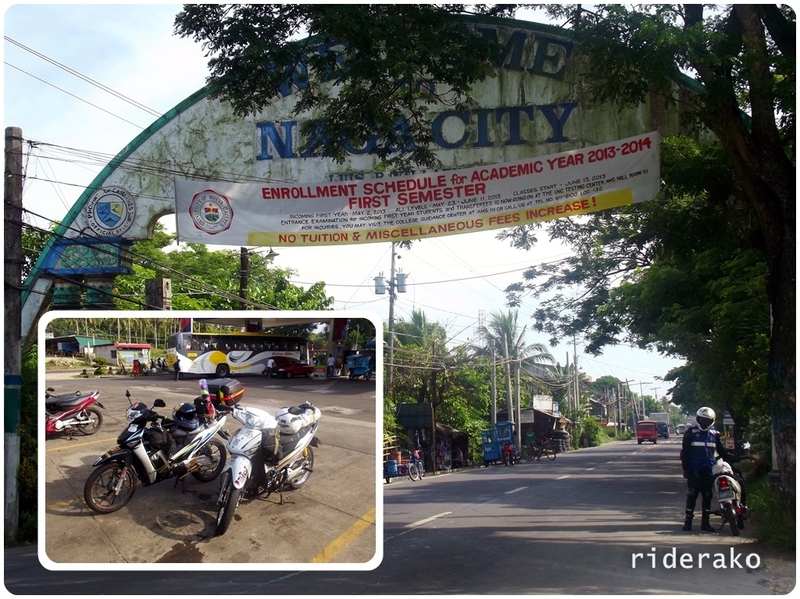 Prior to this trip I have arranged to meet-up with a fellow rider from Tabaco City, Albay. 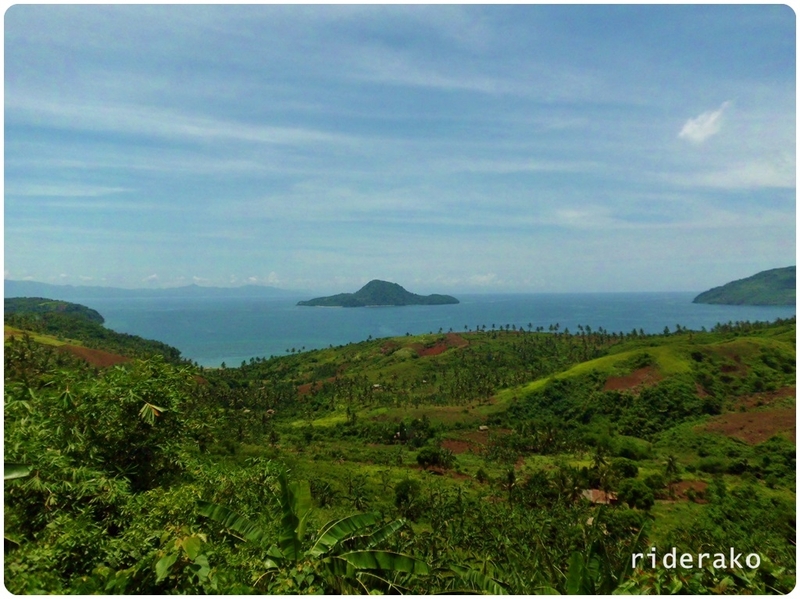 He gladly volunteered to lead the way to Tiwi, Albay via the coastal road of Sagnay. 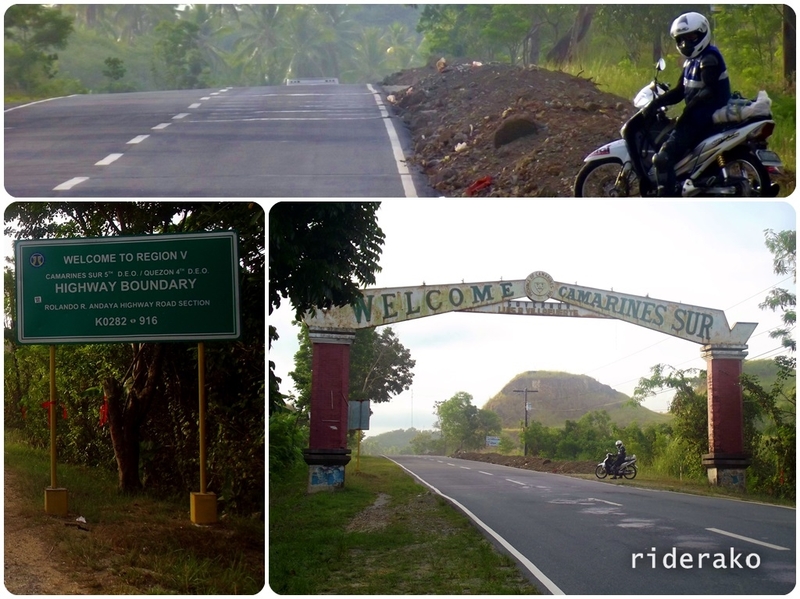 Just right after CWC and Naga Airport we took the diversion road going to Caramoan Peninsula. 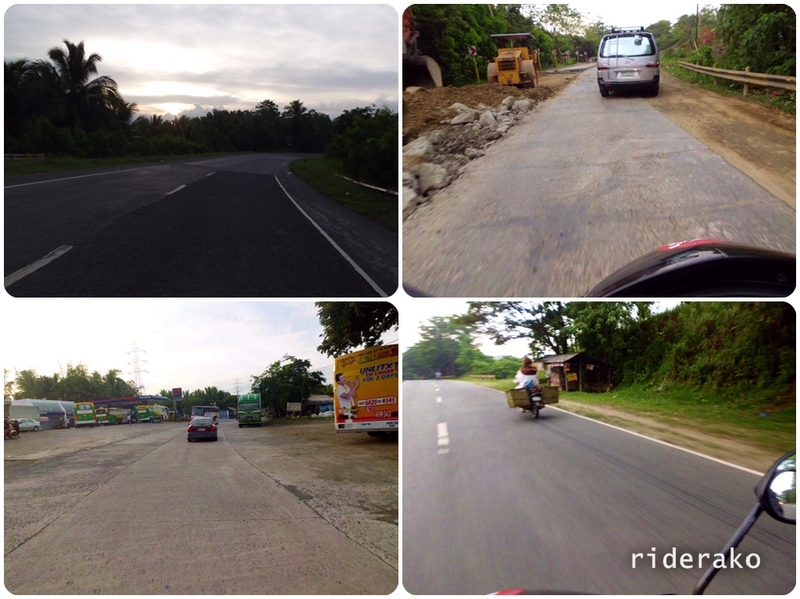 The roads of Naga City and Pili. Newbie_slow , the rider who was supposed to wait for us in Sagnay got tired of waiting and I spotted him going the other way somewhere in Tigaon. I have never met him before but motorcycle riders with helmets and pads in this area will stand out so I knew it was him. So did he. He turned around and I let him lead the way. Entering Sagnay with Newbie_slow on his 110cc Honda Beat leading the way. The calm before the twisty roads. 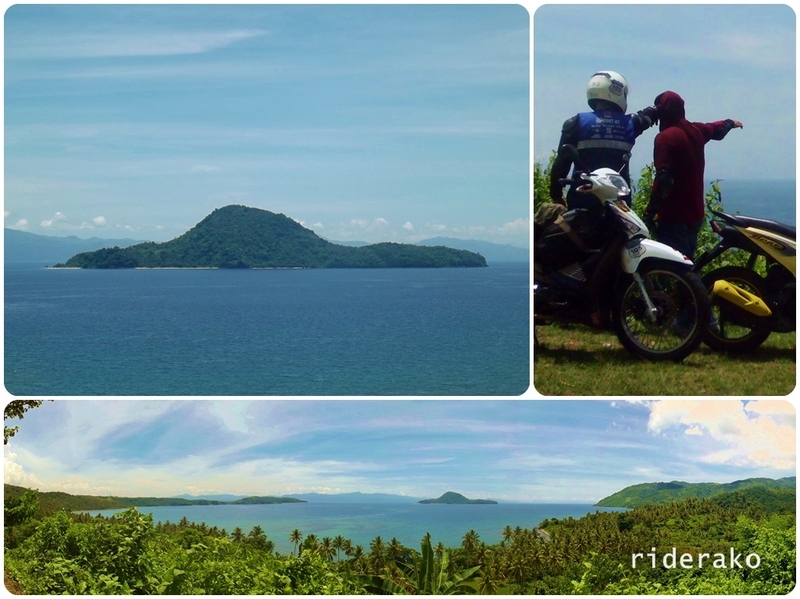 A little later, we were staring at an amazing view of Lagonoy Gulf highlighted by Atulayan Island. The weather was perfect too! The view deck reminds me of Tagaytay and Taal Volcano. 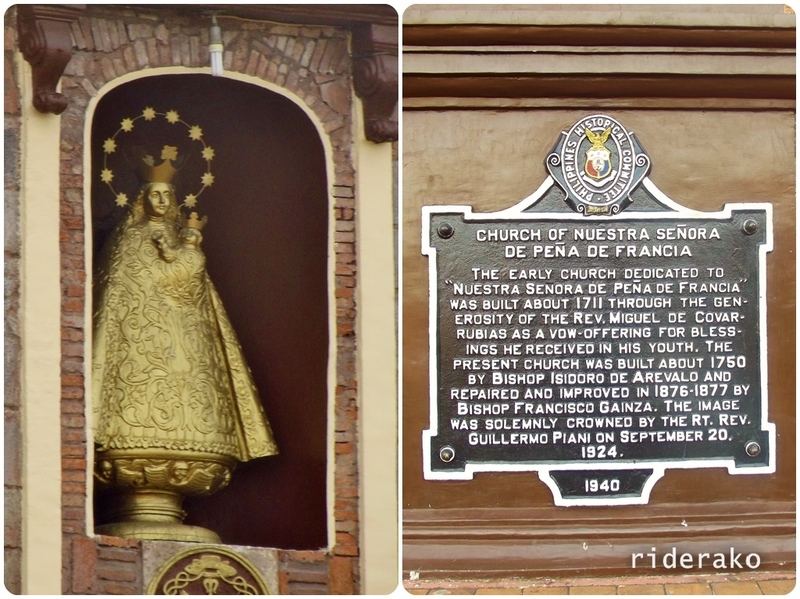 A little later down the road, we saw Fuentebella’s property. He is a controversial politician accused of plunder. We have just started on this coastal road and we’ve already been spoiled by spectacular views. Not to be outdone, the road also tried to impress us with irresistible curves. 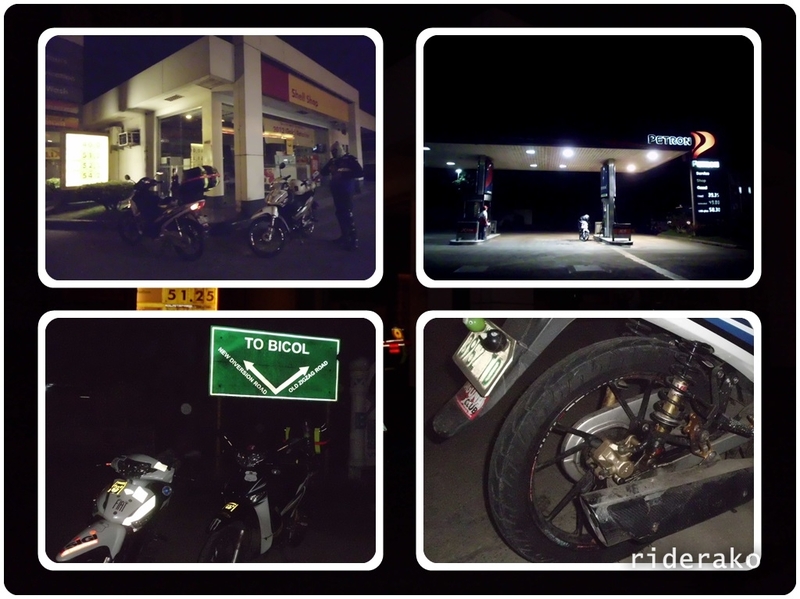 See our on the road pictures on Part 2 of Riding Angry.. SQUAAWWKK!! 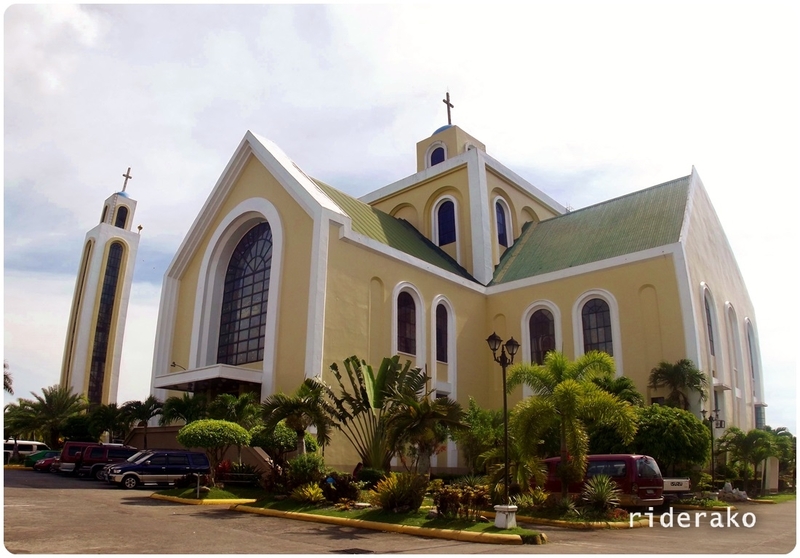 This entry was posted in Group Ride, Long Ride, Rides and tagged Atulayan Island, Basilica Minore, Bicol, Camarines Sur, church, motorcycles, Naga City, Our Lady of Penafrancia, philippines, Sagnay, travel. Bookmark the permalink. Wow!…My son has been urging me to schedule a CamSur road trip. 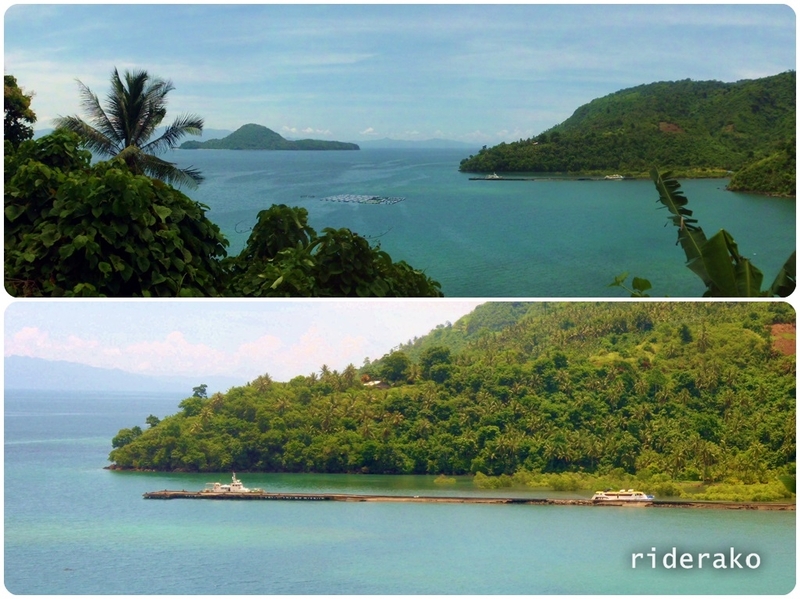 I’ve been to Bicol (Legaspi, Tabaco, Ligao ) once when I was in college. With the pictures you posted, I just might go back for a trip down memory lane. Any suggestion on a nice place to stay? Naku! wala ako ma-recommend na specific na pwede niyong tuluyan. 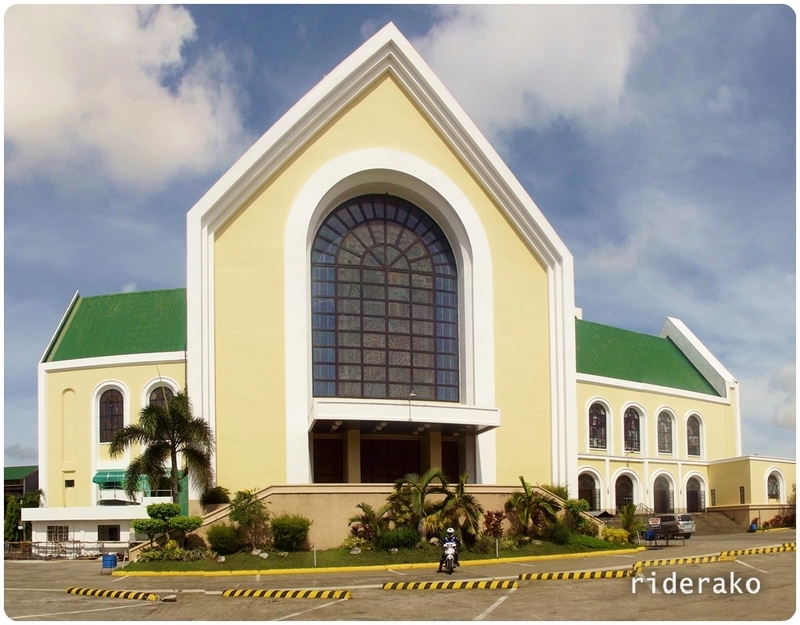 Home-province ko man ang Albay, it also means na marami akong kakilala na pwedeng tuluyan if needed. 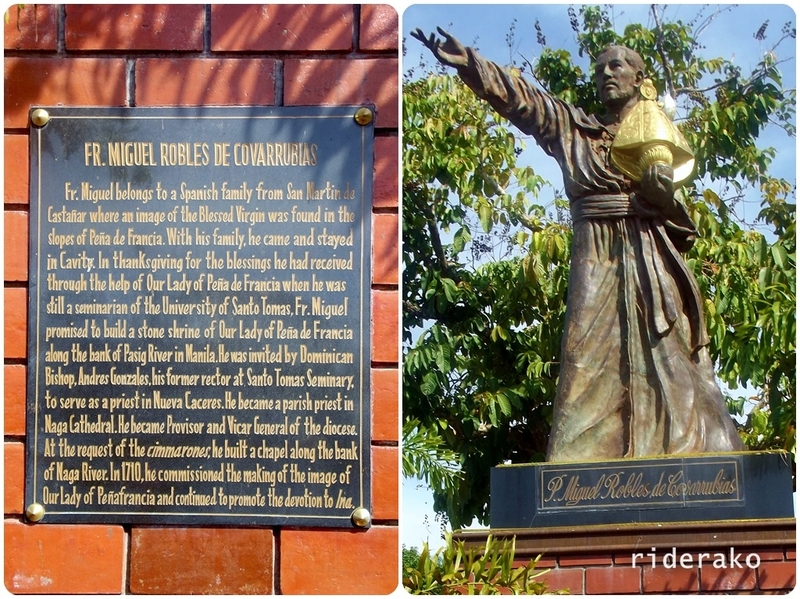 On this trip ko nga lang nalaman na may daan pala diyan na ang labas ay Sabluyon na. Ang sarap nga sanang balik-balikan ng ruta na yan sa Sagnay. Marhay na aga sir! Reader po ako ng blog nyo. Taga-iriga ako. 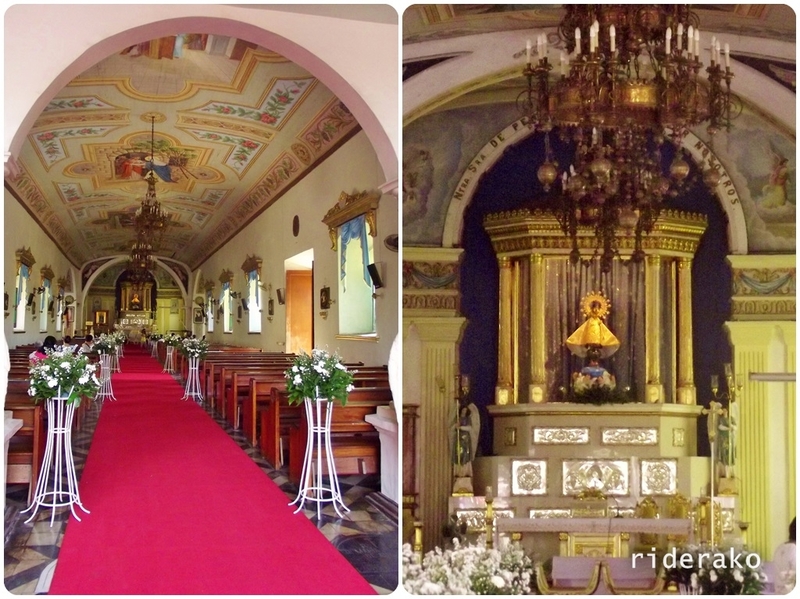 Nagpaplano akong umuwi sa iriga ngayong Holy Thursday, 2 kaming manggaling dito sa Baguio. Pwede pang makahingi ng mapa o tips? Sa Marilaque kasi namin balak dumaan. First time namin pareho. Dios Mabalos! Tara sir.. From Ligao po ako. 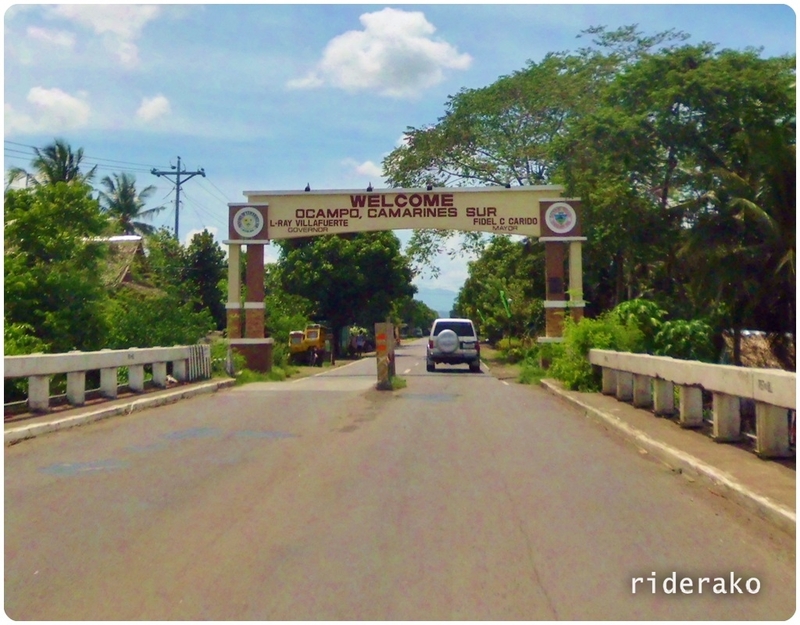 Galing akong Bicol last week, ang daming 1-way from Pagbilao to Calauag. Ang ginawa ko, sa Bondoc Peninsula na lang ako dumaan, ok naman. Sayang sir. Sana nakasabay kami sa’yo. Galing na po kaming bikol. Medyo naligaw kami papuntang bikol pero liban dun, masaya at masarap ang aming unang pagpunta sa probinsya. Sana next time makasabay ka namin sir. Oragon po an blog mo. Thank you sir! 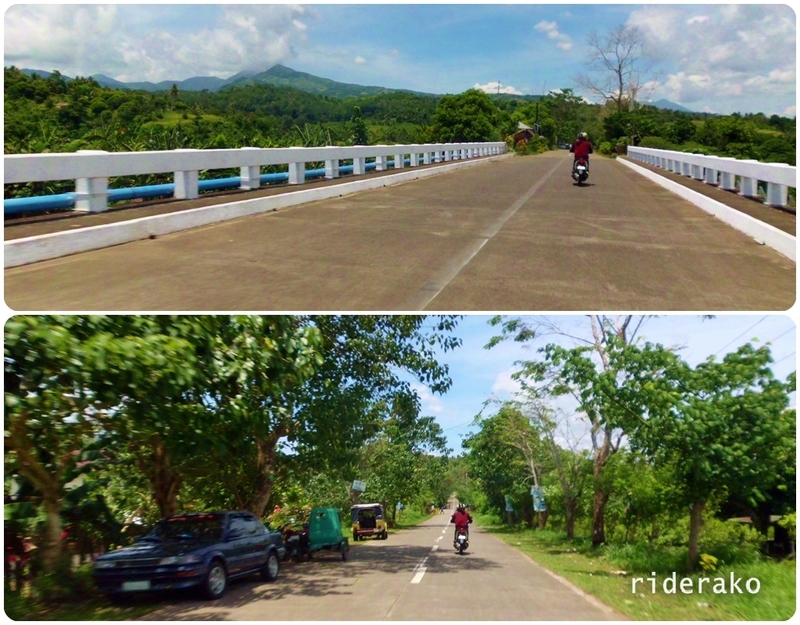 Masaya talaga umuwi ng Bicol ng naka-motor.. sarap ulit-ulitin.. Keep riding! Tama ka dyan Sir! Hope to do it an annual ritual for me or even have more rides to Bicol it my schedule permits. 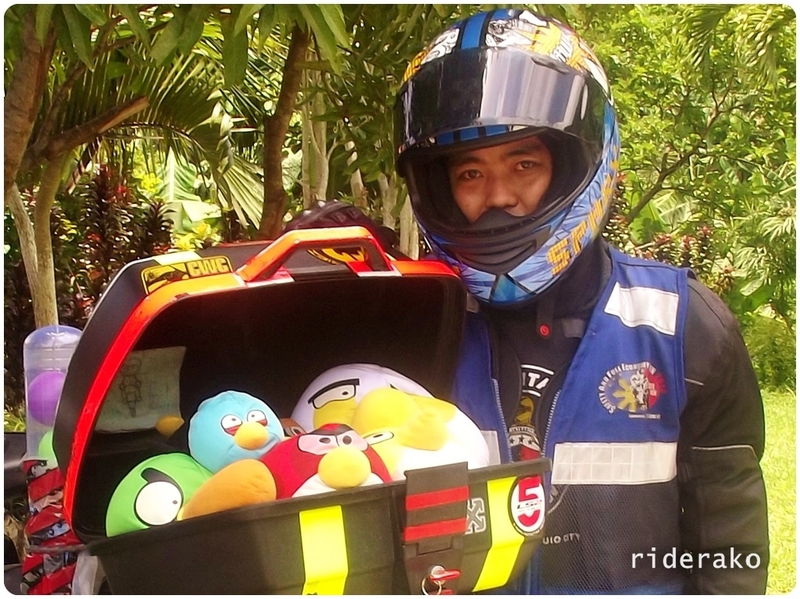 Ride safe sir! Galing mo paps! 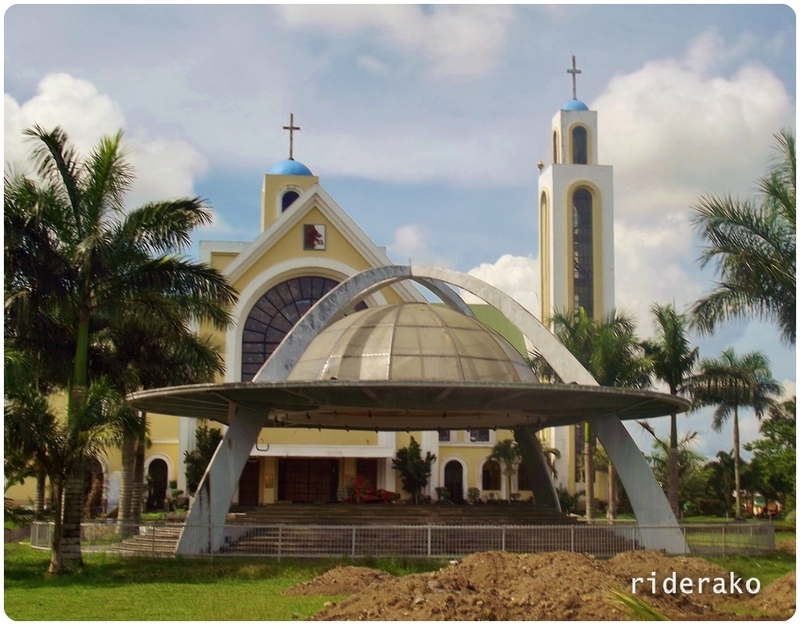 !narating mo na ang bicol taga dyan rin ang relatives ko..gusto ko rin sanang i try ang mag night ride pauwi sa Malinao Albay..kaya lng ayaw ako payagan ng wife ko dahil sa dami ng bus na bumibyahe sa gabi at mga truck.nakapag night ride na nga pala ako ng Baler with my group “NOS” last week..sobrang sarap pala..nakakatanggal ng stress. hello Toypitz! kung aalis ka before 9pm, marami ka talaga makakasabay/salubong na bus. try mo takeoff ng midnight or mga 1am, konti na lang. harmless naman karamihan ng truck kasi mababagal, be patient lang sa timing ng overtake.. good luck!